Aborted fetuses? Check! Dark rituals? Check? Supernatural mysteries? Check? This ghost story has them all. Courtesy of two of our latest writers, Peaches Pacione and Lewis Unknown, we are proud to present you with yet another free short story. So head on down below, click the front cover and grab your free The Ethereal Gazette publication today. Be sure to read it with your lights turned on though, because it’s not really something you want to read in the dark. Be on the lookout for another release by this tag-team of writers soon! 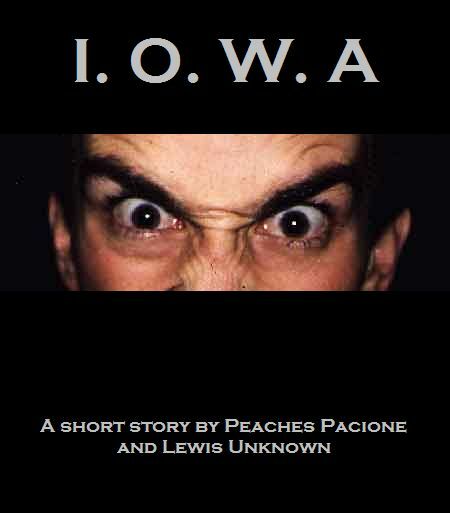 I.O.W.A – A dark tale of haunting. Reader beware. This shocking material is not for the faint of heart. The work is public domain, so share & enjoy. Click image to download your copy.